Swamps are unique habitats in which few plants can survive without adaptation. Lack of sunlight, coupled with soggy soils and high levels of iron, magnesium and hydrogen sulfide create tricky conditions for plants to thrive. Nevertheless, there are numerous types of plants found in swamps such as the common cattail, or adaptable cypress tree. 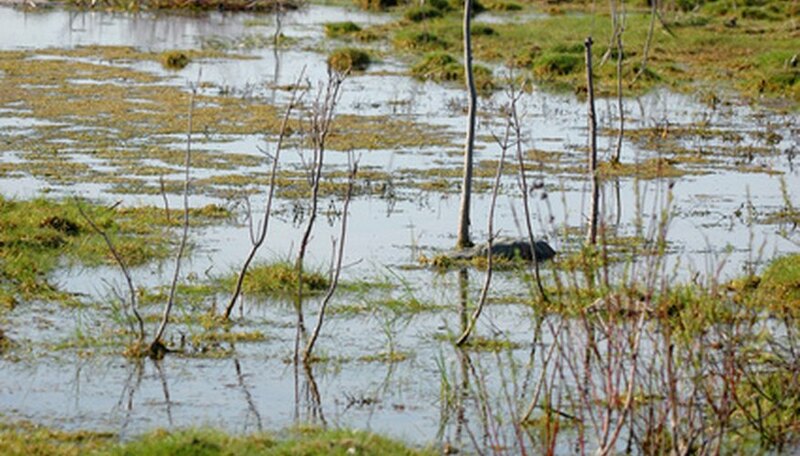 Swamps are essential habitats for surrounding vegetation due to their flood control and water purifying abilities. Gardeners and plant lovers can add to their appreciation of diverse flora habitats by becoming familiar with common swamp plants and their distinguishing characteristics. Cattails are common aquatic plants found along the edges of ponds, lakes and rivers as well as swamps. The tall upright emergent plant grows in shallow water and can reach heights up to 10 feet tall. 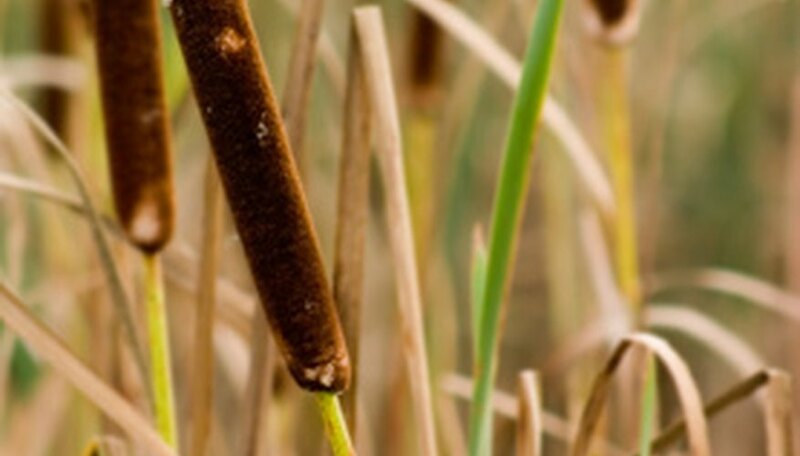 The tips of cattails are brown and cigar shaped with yellow spikes at the top. Cattails typically grow together in dense clusters, and they are an important source of food for wildlife since every part of the plant is edible. Swamp dwelling creatures often take shelter in the reeds of cattails. In swamps, they are more commonly found along the edges where more oxygen and sunlight are readily available. The swamp lily is an perennial aquatic plant typically found along swamps and marshes. It is most commonly seen in the southeastern region of the United States where climates are more favorable to supporting swamp habitats. Swamp lily is distinguished by its onion-like bulb from which flowers emerge on a long stalk. The leaves, which are separate from the flower, can be up to 3 feet long and 3 inches in width. Swamp lily blooms are white or pink with 6 petals on each flower. Native to Florida, it prefers the edges of wetlands where sunlight is more easily able to filter through. The cypress tree is the most common tree found in the Florida wetlands. The trees have adapted to swamp life by producing knees, known as pneumatophores, which project above the surface water in a swamp or wetland. These are believed to serve as buttressing agents and provide needed gas exchange or respiration for the tree’s survival. 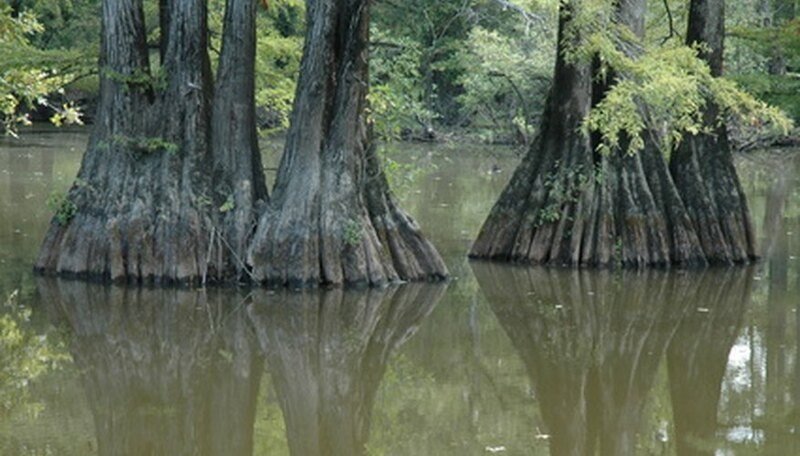 The base of cypress trees are often swollen due to continuous flooding and soaking near the trunk. In order to for seeds to successfully germinate, water levels must be at or below the surface soil, a condition that continuously fluctuates in swamp environments. Cypress trees have long life spans and may reach over 1000 years old, though the oldest Cypress trees in the United States are only estimated to be around 600 years old.